JPAN offers a wide range of traditional Japanese dishes along with mind-blowing Sushi and Kitchen creations. Let their experienced and innovative chefs design a magnificent meal for you and your family all while being in the care of their lively and hospitable staff. Whether it's traditional fare, Sushi or Tempura you crave, JPAN can handle your hunger and give you several reasons to keep coming back for more! As lovers of wine, the Rathbone family had contemplated the idea of becoming wine producers for many years. Having planted the Laura Barnes Vineyard in 1995 and with the family’s background in agriculture, manufacturing and their passion for the wine industry, the purchase of Yering Station was an obvious step forward. This natural progression coupled with a combination of family talents allowed them to develop a successful business around quality wine. The Rathbone family's model was to focus on wineries with the potential for excellence in a specific varietal and located in only premium regions, Yering Station in the Yarra Valley was the first piece in their strategy and in late 2002 Mount Langi Ghiran became the perfect next piece. After their success at Yering Station and Mount Langi Ghiran, the Rathbone family looked to expand into Margaret River. Recognising Margaret River as one of the great regions of Australia, and in particular Darren Rathbone’s love for Cabernet Sauvignon was the original reason for them exploring this region. The potential of Xanadu was recognized as having the combination of great viticulture, great wine making facilities and great tourism facilities. 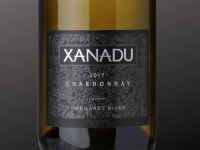 In 2005 the Rathbone family purchased Xanadu Wines.